The importance of enabling audit in Cognos BI / CA is profound. As we all know, tracking users in Cognos BI / CA is not the easiest job in the world. When it comes time for an IBM Audit, it can be a scary process when you don't have the immediate answers to who has accessed the system and when. Make your life easier by setting up the audit database and enabling the system to track who has access and where. Read below for steps to ensure you have this set up correctly. The first step in the process is to set up the audit db. This is done is SQL, DB, Oracle or whatever database you are using. All of my examples will be done using SQL Server 2012. Open your database program of choice and add a new database and name it CA_Audit or something that will identify it as the Cognos Analytics / BI audit database. 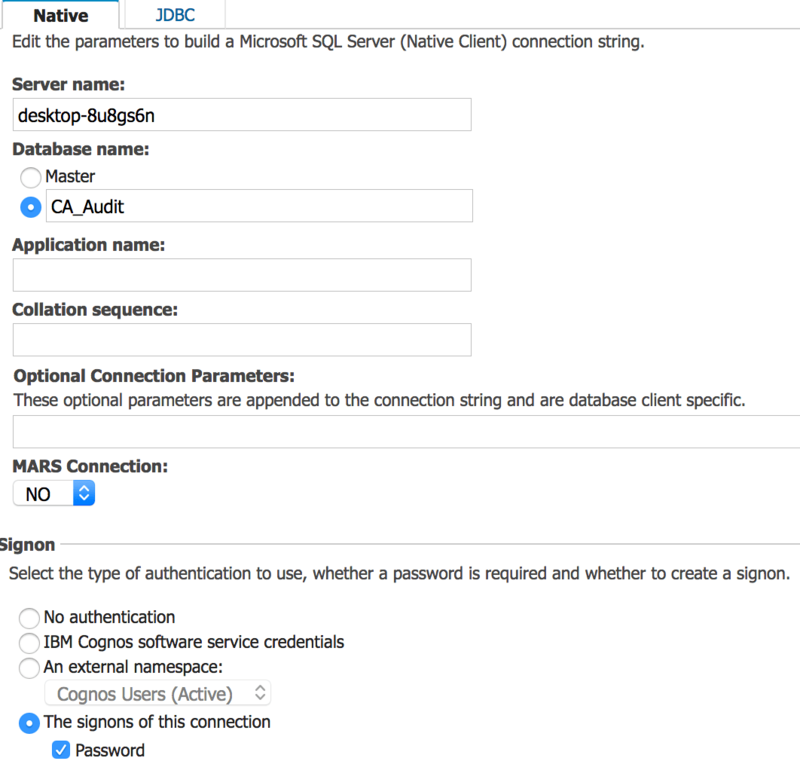 Next, you need to add that database in to Cognos Configuration. Open Cognos Configuration and locate the logging area and the right click on logging and choose add new resource. Choose destination and then name it Audit and make sure it is a database type. Once complete, right clock on Audit and add new database. 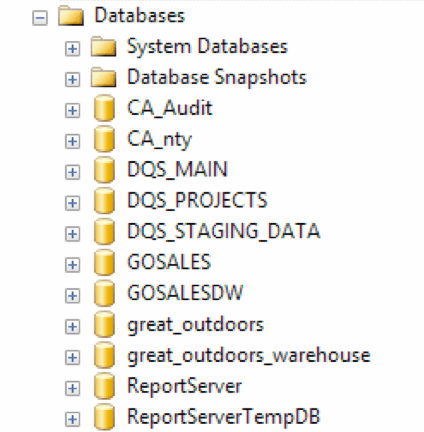 Choose the type of database you created the CA_Audit database in and name it CA_Audit. Last, complete the items listed by filling in the information needed. 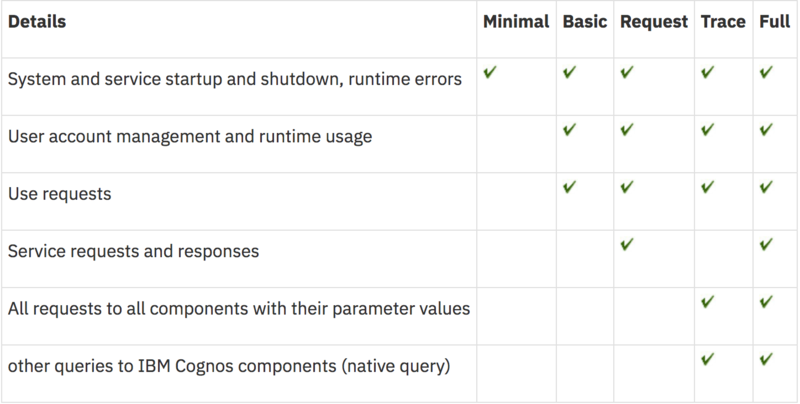 Hit save and restart the Cognos services. You have now completed the set up for the database and connection in Cognos Configuration. The next steps are to create the data source in Cognos, install the audit sample files and enable auditing in Cognos. Now you need to create the datasource connection in Cognos Administration. Open and navigate to configuration and data source connections. Add new data source, name it Audit and hit next. Next, choose the type of datasource connection you are making. Again, for this example I'm using SQL 2012. Make sure that the JDBC connection box is checked or highlighted and hit next. Now it is time to create each connection. See my examples below. Your set up might be a bit different. Once complete, hit test connection and you should see a success message as below. 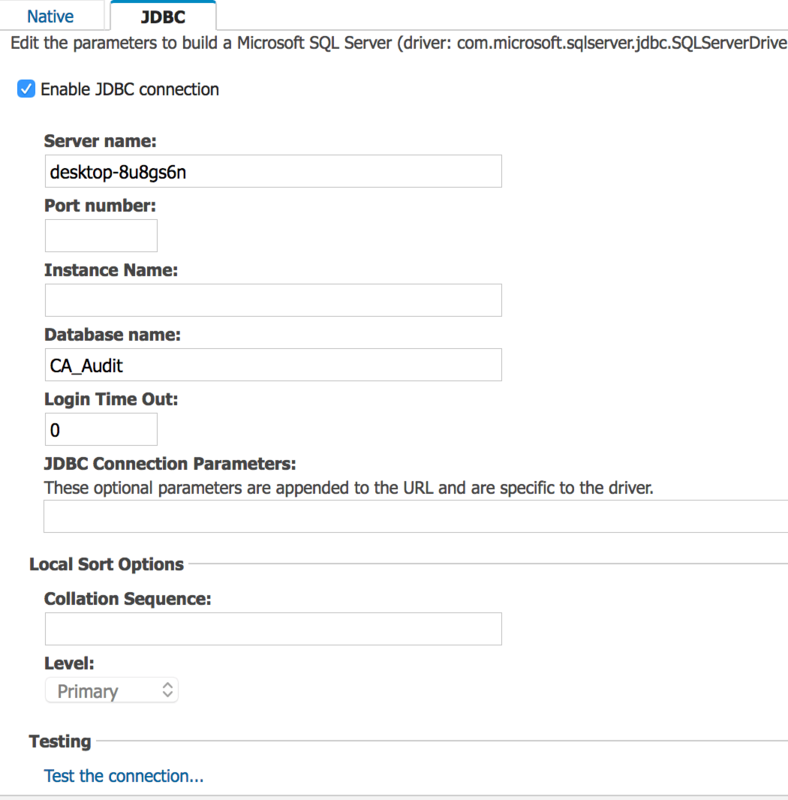 If you do not check the settings of the native and JDBC connection and adjust as necessary. First step is to ensure that the sample are located in the deployment folder in your install path. If they are not, locate them in the Cognos Analytics / BI install area and move them to the deployment folder. The are titled IBM_Cognos_Audit. The next step is to go to the Cognos Administration area, navigate to configuration and content management. Click the import icon (4th icon top right) and select IBM_Cognos_Audit and hit next. Keep the name the same and hit next. Make sure that the sample_audit button is checked as seen below and hit next. The last step is to enable auditing in Cognos. By default, it is set to minimal. You can see the different levels in the below chart. You need to set the level to at-least basic to collect user requests and set to request for reporting responses. Once item of note - DO NOT USE TRACE OR FULL unless you need to do detailed logging or was asked by IBM / Partner to track detailed logging. This will seriously degrade your system and slow it down. To enable auditing, navigate to Cognos Administration and then go to configuration and dispatchers and services. Find the dispatcher with port 9300 and click the properties icon to the far right. Click settings and change the category drop down to logging. This will filter all of the logging areas. This is where you will change from minimal to basic or request. Change all of the items to basic or request. The detail on what each of the items is for. Once all the steps above are complete, restart all Cognos services.